This 2-day workshop will be useful for Reactive Programming adopters, who have no previous experience. 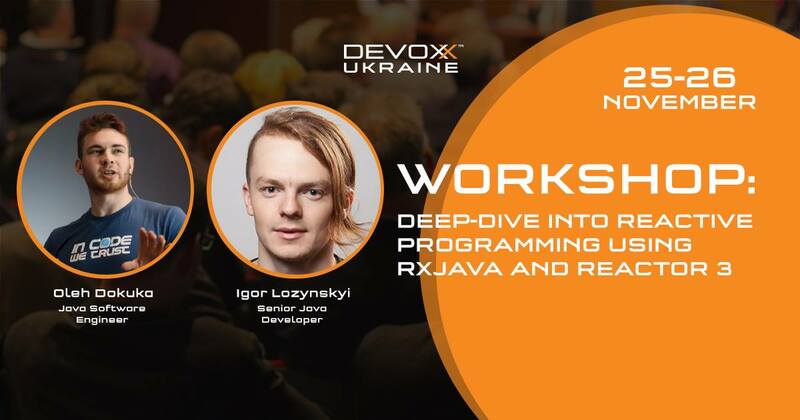 During the workshop, you will learn the most popular libraries for Reactive Programming in Java (RxJava, Project Reactor) and have practical exercises. We live in the age of high-load, where almost every Java Framework supports Reactive Programming paradigm and follows Reactive Manifesto principles. Not so far, Spring Framework provided mentioned feature as well. Unfortunately, most of us still have no experience in Reactive Programming, moreover, most of us have no idea what Reactive System is, and what is the difference between Reactive Programming and Reactive System, since both have word „Reactive”. By attending the workshop, you will get a clear understanding of what is Reactive System and Reactive Programming, the difference between these notions, and will get practical experience using RxJava and Reactor 3. During the past few years Oleh has been actively working on the development of Enterprise Software and Distributed Systems, especially using Spring Stack. From the very beginning of Spring 5 development, Oleh has been keeping his hand on the pulse of the framework’s evolution and has already given a number of inspiring speeches about Spring 5, Reactive Programming in Spring 5 and Project Reactor, as well as practical workshops. 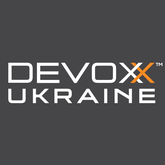 Igor has over 7 years of experience with Java platform. During the past two years, Igor has been actively advocating reactive programming at tech conferences and already introduced RxJava successfully in several projects.